Sitting in the room of his home dedicated to Peterson Builders’ history, Ellsworth Peterson can point to any of the relics from his career with the company and tell a story. The work permit he obtained to help his father in the shipyard hangs in a frame on the wall. His hard hat rests on a shelf next to his father’s. His desk from Peterson Builders sits against a wall, refinished and shining. Photos of launchings, ships and of the Peterson family fill the walls. At 17 years old, he delivered his first ship to Mississippi, traveling with the crew through the Great Lakes, out the St. Lawrence Seaway and down the East Coast; and now, at 87 years old, he reflects on the life of the company his father started – the company he took over and eventually closed following the fulfillment of one last contract in the 1990s. Ellsworth Peterson in a wing of his home dedicated to the history of Peterson Builders. Photo by Jen Zettel. Ellsworth Peterson’s father Fred J. Peterson started Peterson Boatworks in 1933. Continuing the shipbuilding tradition his father Martin had started, Fred built a reputation as the man to buy a reliable wooden ship from. In 1946, Fred renamed the company Peterson Builders, Inc. (PBI) and started seeking naval contracts aggressively. 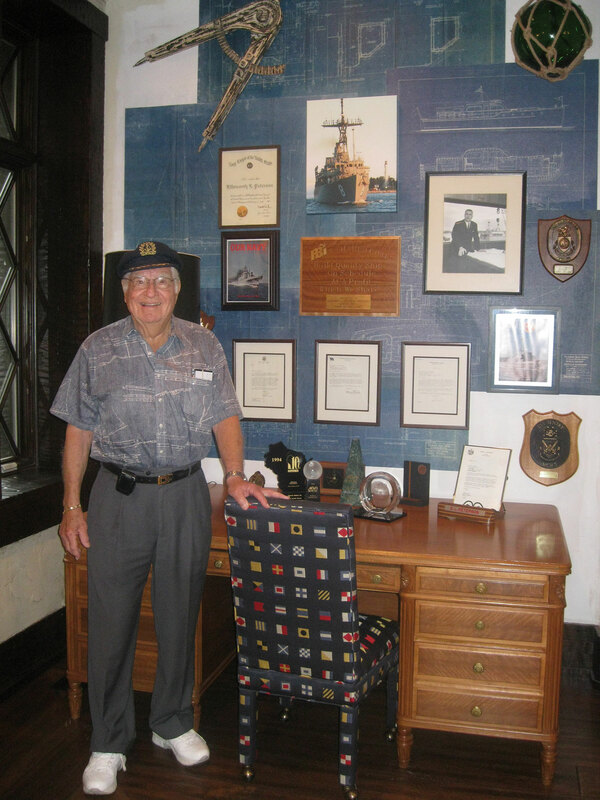 After World War II, his company caught the eye of the United States Navy. The Navy awarded minesweeper construction contracts to Peterson Builders because of its combination of political prowess and quality shipbuilding. 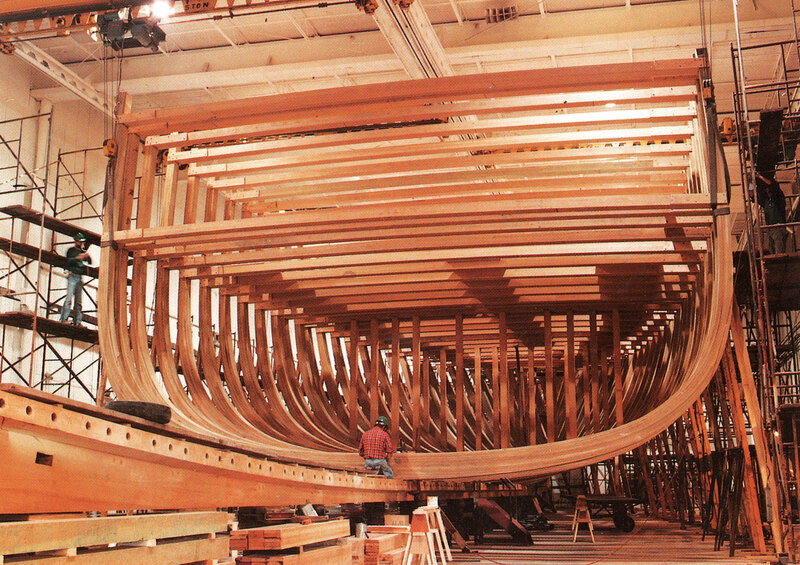 “Ellsworth Peterson was good at understanding the procurement politics in Washington D.C., and they had built a shipyard capable of building a ship out of anything,” said Door County Maritime Museum Executive Director Bob Desh. “Anything” included steel, plastic, aluminum and wood, making PBI one of the most versatile shipyards in the world. After its first minesweeper contract PBI became the shipyard of choice for minesweepers, constructing nine vessels from 1951 to 1958 and four more in 1967. 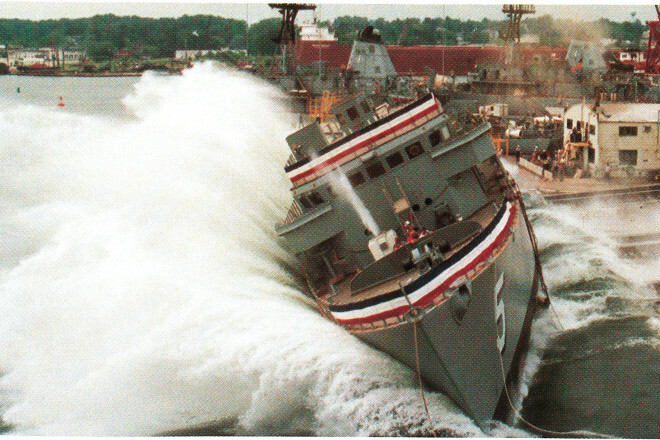 Thirteen countries purchased PBI minesweepers, increasing their reputation as a high-quality shipbuilder. “They were the builders of the minesweepers of the world,” Desh said. The company’s impact lie not only with their worldwide customers, however, but also with the Door County community, in which Fred had grown up and raised his sons Ellsworth and Robert. The company employed hundreds of people – peaking at 1,400 workers. They continued to build impressive ships, from research vessels to the Washington Island ferry Robert Noble. Then, in 1982, the shipyard started building a new fleet of minesweepers, the mine countermeasure vessels (MCMs), also known as the Avenger Class. This would be the last naval contract the company would take, and upon its completion, the end of the company’s shipbuilding history. Mines are what Desh called, “a poor man’s navy.” They’re cheap, versatile and low maintenance. “Any country with the dollars to acquire mines can, and they’re easy to set,” Desh said. There are two types of mines: buoyant contact mines, which float close to the water’s surface, and mines that rest on the sea bottom, detonating as a result of noise, magnetic influence or water pressure given off from a passing ship. Minesweepers are constructed with non-ferrous materials, wooden hulls, and a narrow beam to keep them from setting off mines. Furthermore, they are soundproofed, preventing them from detonating mines acoustically or magnetically. “With the mines in [the water] you’re basically paralyzed until you can get them out,” Desh said. In order to counter the danger of a set mine, minesweepers slowly traverse suspect waters marking safe channels for ships. As they move through a potential minefield, minesweepers tow steel cables to sever mines’ tethers. Buoyant mines subsequently surface and are destroyed with gunfire. To detect moored and sea bottom mines, the ships use mine-hunting sonar. 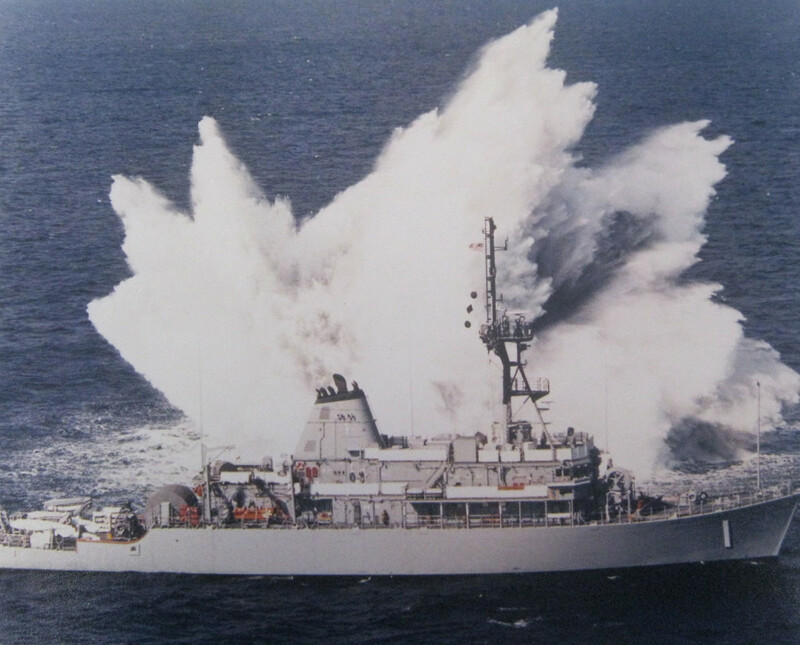 They destroy identified sea bottom mines by sending a loud pounding sound through the water to detonate acoustic mines, or an electrical signal to detonate magnetic mines. 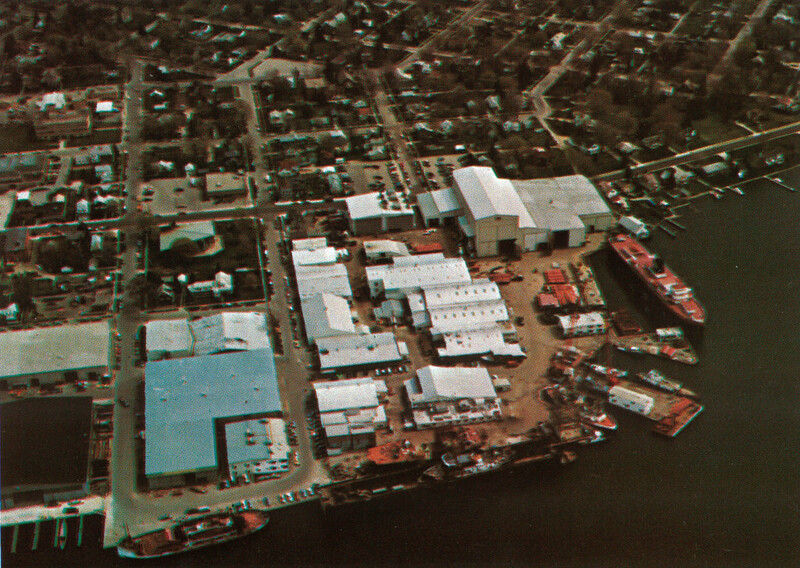 From 1982 to 1994, Peterson Builders constructed 11 MCMs at the Sturgeon Bay shipyard. The Navy used these vessels during the Iran-Iraq War, and Operations Desert Shield and Desert Storm in the Persian Gulf. PBI used new construction techniques on the MCM, which cut the hull weight in half. Because of the hull’s strength, the vessel could be longer than the 136-foot World War II YMS wooden-hulled minesweeper PBI modeled it after, making it the world’s largest minesweeper spanning 224 feet and weighing more than 1,000 tons. 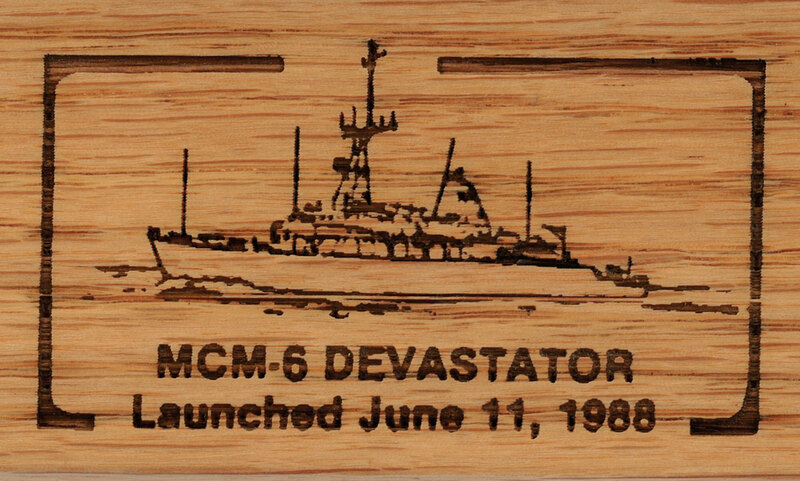 The first vessel, MCM-1 or USS Avenger, took the yard two years to build and came with a $99.7 million price tag. When a contract job came in, the shipyard’s employees appreciated the work, former electrical engineer and Baileys Harbor resident Marv Langohr said. However, fulfilling naval contracts required more from workers – more time, more responsibility and more patience. The unique design of a minesweeper and the naval requirements it had to meet made building it more difficult than other vessels. With minesweepers, all equipment on board had to meet a shock standard “because you don’t want things falling off the walls” should a mine detonate near the ship, Langohr said. Also, to keep magnetic surfaces at a minimum on the Avenger Class, glass-reinforced plastic sheathing covered oak and fir on the external surfaces of the ship. The internal mechanisms and components of the vessel were also constructed with non-magnetic materials to further minimize magnetization on the vessel. Not only were the MCMs the largest minesweepers in existence, but they also had highly advanced technological equipment on board for both locating and destroying mines. Eventually, though, the stream of contracts slowed and as the departments finished their work on the MCMs, PBI started laying people off, with departments falling like dominoes. As an engineer, Langohr’s department finished work on the minesweepers before others, and he was soon out of work. His wife, Ann, worked at PBI in the testing department. Where Marv saw the first MCM launch, Ann saw the final launch, after which she, too, was laid off. The shareholders, largely consisting of family, had predicted that the contract well would dry up and the end of Peterson Builders was imminent. Of retirement age at the time, Peterson felt sorry, not just for the countless people out of work, but also for halting the shipbuilding legacy of the Peterson family. Photo courtesy of Door County Maritime Museum. 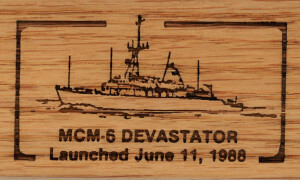 Despite how the story ended, the company’s contributions to the shipbuilding industry will not be forgotten, especially with the MCMs still in use today.